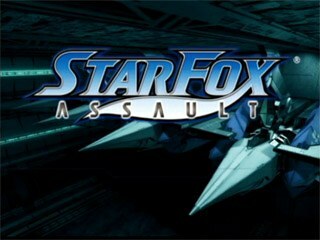 Released in February 2005, Star Fox: Assault is the 4th Star Fox game, a series known for creative innovations such as the Super FX chip on the SNES and the Rumble Pak on the N64. In Assault, the Lylat system has come under attack by a new foe called the Aparoids, a species of machines made up of one collective mind. Join the Star Fox team and help beat back the Aparoids to save the Lylat system. Note on timing: Game timer is used everywhere except for mission 9 which is manually timed because death warping causes the game timer to be inaccurate. Best time, Bronze skill: Survival mode 0:41:08 by Zachary 'zewing' Ewing on 2013-06-18. I originally intended on running Star Fox Adventures instead of Assault but at the time I realized 5 hour single segment runs would not be possible for the time being. Any time I use an Arwing I use the initial boost then I keep tapping the boost button to do constant boosting. This is only way to make the rail shooting levels faster. I also limit the amount of enemies I kill in short span so as to not induce lag. Finally bombs are best friend due to massive damage output combined with 2nd laser upgrade mashing. Blaster is best option for Bronze since charge required isn't always max (red) and grenades are used to speed up an objective (like how I do 1 cycle elevator in Mission 2). Sniper rifle is 1 shot 1 kill and combined with barrier in Mission 9 it allows for some interesting strategy. Death Warp in mission 9 went well but shortly after this submission me and Modularifve found out a general strategy that's faster (and more risky) than death warping. Landmaster controls are bad. But when used the dash attack is fastest way to travel accross flat land. Special Thanks to all members of Speeddemosarchive and Speedrunslive for making speedrunning more enjoyable and more optimized than it's ever been.